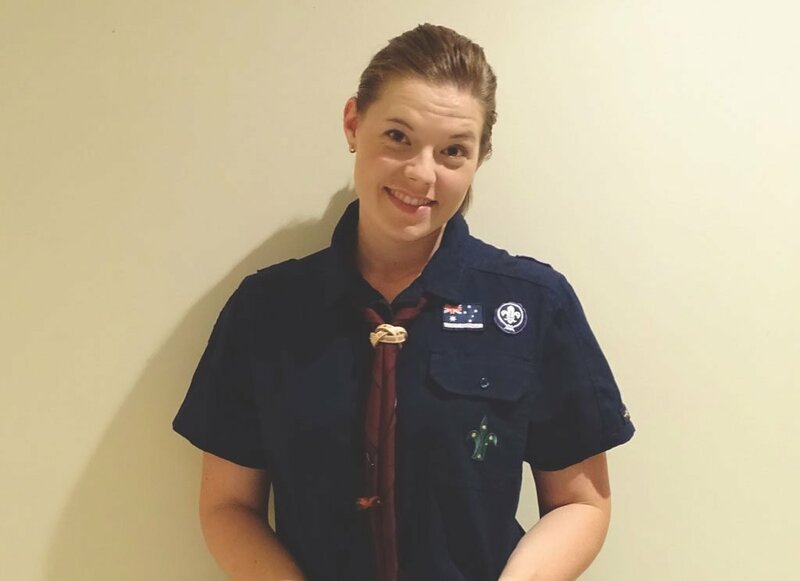 Scouting has been a way of life for Alexandra Digweed, VN and practice manager at Boongarry Veterinary Services in Cairns, QLD, since she was six. “My first introduction to scouting was accompanying Mum to a local Joey Scout meeting over 20 years ago. She was delivering a native wildlife talk with some of the animals we had in care at the time. I immediately recognised a good friend of mine from school among all the other kids having fun. I joined the following week, received my uniform and I haven’t looked back. “I loved scouting immediately. I enjoyed trying new things and having fun doing activities totally different to an ordinary school day. “At the age of 12, we would often plan, pack and then go on a 30km hiking expedition. We’d prepare full journey plans and coordinate checkpoints with leaders, then hike off through bushland on a Friday night. We would return in time for school on Monday morning. I’m also very proud to have achieved and received my Australian Scout Medallion and the Baden-Powell Scout Award. “A highlight of being a Scout are the jamborees that are held every three years. Over 10,000 national and international Scouts share 10 days of activities, expeditions, networking and independence. “As I’ve grown older and progressed through each of the youth sections—Joeys, Cubs, Scouts, Venturers and Rovers—I’ve really enjoyed being challenged socially, physically, intellectually, culturally and emotionally. Some of my closest friends today are people I’ve met through Scouts—including my husband. “These days I undertake an adult leader role. I’ve helped run various Scouting activities including camps, abseiling, canoeing and patrol activities. It’s a real privilege to guide young people through these activities and help them become the best they can be. I’m currently an assistant region commissioner (marketing and communications) in the Far North Region. I work with our local leaders and support committees to promote Scouting through social and printed media, improving communications between sections. My role also involves youth member engagement and contributions to the national youth program review.